In this post you can download the full customer story of Zonneveld ingenieurs, experts on FEA for earthquakes and one of our 4RealSim customers, and how they are using Abaqus to investigate geologically-caused earthquakes on buildings in Groningen. It goes without saying that nobody likes earthquakes. The ground shakes, structures topple, and people get hurt. Interestingly enough, a growing number of these events are caused by, or at least related to, human activities. The construction of buildings on soft, unstable land or near known geological faults are two examples, as are induced earthquakes that arise due to the extraction of oil and gas. Fortunately, humans are able to reduce and, in some cases, eliminate the negative effects of earthquakes, whatever their cause. By isolating a building from the surrounding earth, reinforcing the walls and foundation and then placing the entire structure atop a complex series of springs or sliders, it is possible to keep our office buildings, apartment complexes, and similar living spaces safe from all but the worst of Planet Earth’s unexpected moves. Mark Slotboom spends his days doing just that. A structural engineer in the Netherlands, he and his coworkers have become specialists in designing innovative ways to protect buildings, new and existing, in the event of an earthquake. Their employer is Zonneveld ingenieurs, a Rotterdam engineering firm with 35 years of experience designing load-bearing steel and concrete structures for high-rise and civil engineering projects around the world. Recent projects include the redevelopment of the Pecci Museum for Contemporary Art in Prato, Italy, the Main Press Center for the Olympic Games in Athens, and the Hammersmith offices in London. It is in large part due to complex engineering projects like these that Slotboom and others at Zonneveld first began using Abaqus Unified Finite Element Analysis (FEA) software from SIMULIA, the Dassault Systèmes brand for realistic simulation. It’s clear that there is a world-wide need for their earthquake expertise, yet Slotboom’s efforts have become increasingly necessary in his own country. Though not prone to geologically-caused earthquakes, in recent years Holland and its inhabitants have quite literally been feeling the effects of oil and gas extraction from the massive Groningen gas field near Slochteren, which leads to geologic stress redistribution and fault slippage—so much so that the government has given leading oil producers four years to cease their sourcing activities. Due to poor soil conditions and the rise of oil and gas extraction–related earthquakes in the Netherlands region, construction engineering firm Zonneveld ingenieurs needed a way to make buildings both earthquake-resistant and cost effective to build. 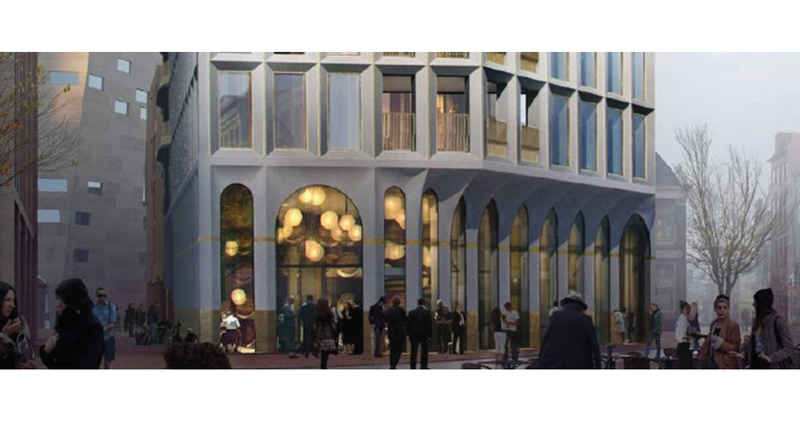 By using Abaqus FEA from Dassault Systèmes’s brand, SIMULIA, and 4RealSim support, Zonneveld was able to design a novel solution that prevents structural damage during these events, while also making the building more sound proof. Doing FEA for earthquakes and using SIMULIA software, this small, specialty engineering firm has become more efficient, flexible, and better able to serve its customers, no matter how big the challenge. Download the full story based on a blog/customer story of Dassault Systemes. Download: FEA for earthquakes with Zonneveld ingenieurs: Using Abaqus to investigate geologically-caused earthquakes on buildings in Groningen. Are you interested in more customer cases? Do not hesitate to check our 4RealSim Blog or contact us via contact@4realsim.com.